Everybody’s super excited actually seeing people face to face. Every single task solves incredible faster and way more easy while talking to people compared to email back and forth and back again. Recommend to do Video Group Chat more often in the future. Technology is already in place (Skype Business, Room Solutions are also available, see this Video for more) but not used yet for unknown reason. No budget has to be spend – it’s already there. That’s funny. Getting the Video Group Chat to work is now the No. 1 Item on my tasklist. 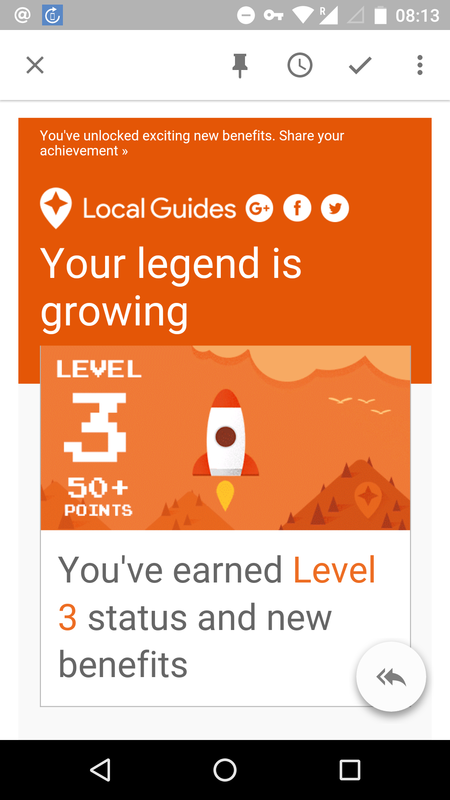 I’m excited because during the meeting I reach a new level for a Google Maps Guide. Now all my reviews are marked with an badge. One example is the Jester’s Sports Bar (link to Google maps) review. This is the public version for a review that should read „they made me totally drunk and I heavy fall in love with the bartenders after the third drink ahgrlbrzzz“. So please take care while reading reviews for locations. They’re all kind of lying. This is true and a Lie at the same time. Now all my reviews are marked with this little star. I like that. Currently by far the best tool for traveling is Google Maps. The suggested locations depending on daytime, the location data from the phones for the opening hours, the reviews and the driving directions provide such an incredible benefit – I can’t imagine to travel without this great help. 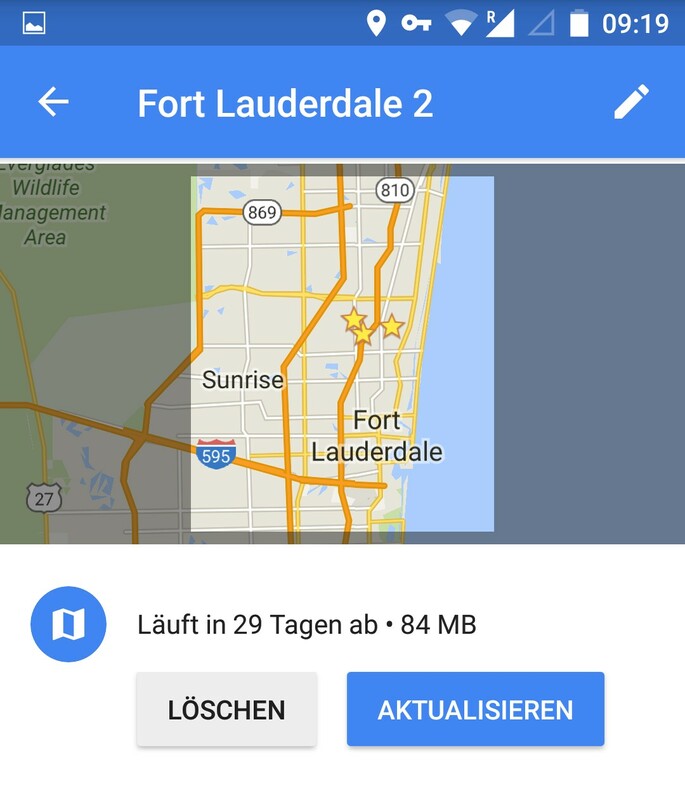 Google Map auf das Handy runterladen. 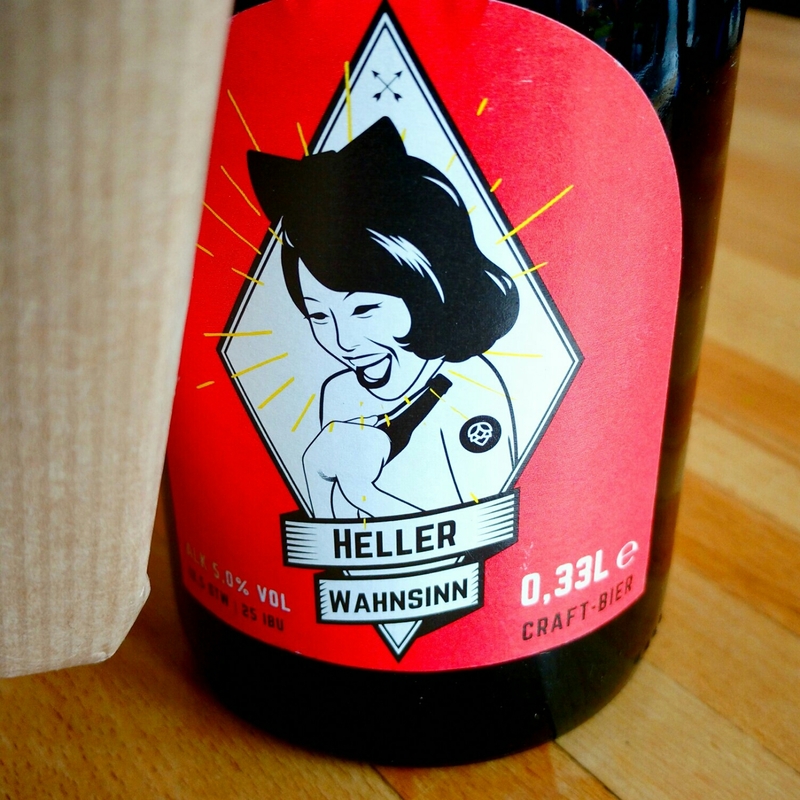 Spart viel Stress. Having Brussels Sprouts and smashed Potatoes at a pool site during a high class dinner was a surprise. 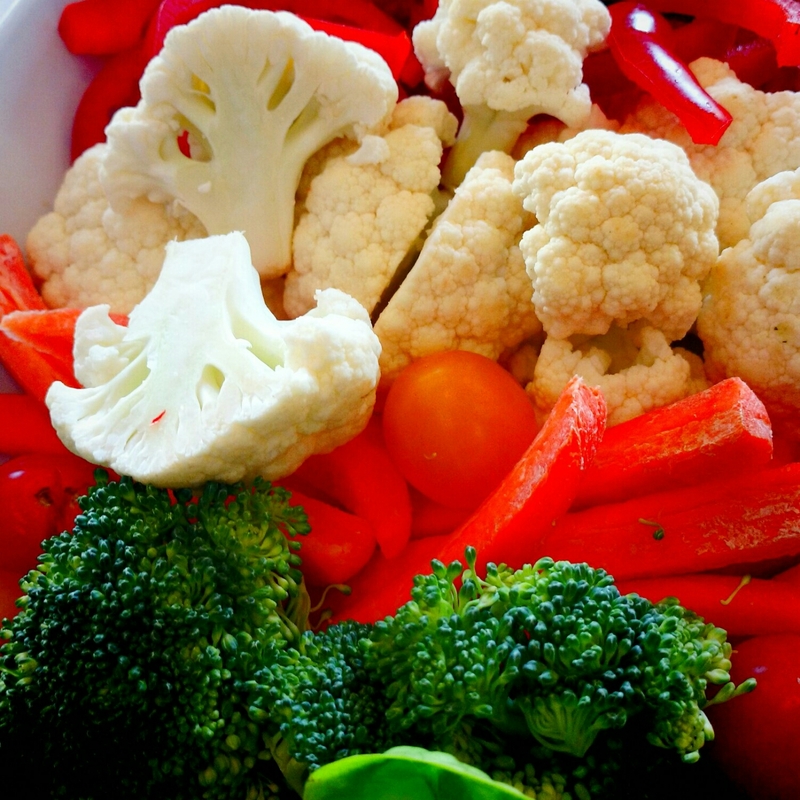 Also having raw Cauliflower and Brokoli on a vegetable plate was an even bigger surprise. Why? Serious. Why do people eat this? I’m looking forward to hopefully visit Atlanta. I learned they’re huge in craft beer over there. There was a lot of coffee involved in all meetings and decisions last week. 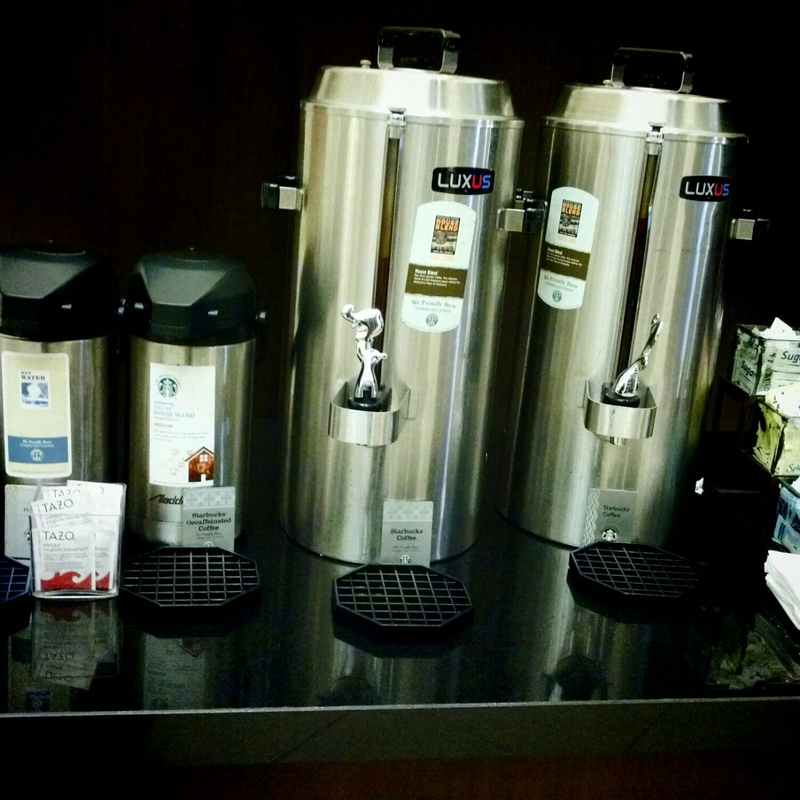 Thankfully they do have a lot of coffee in place in the hotel. I liked that. 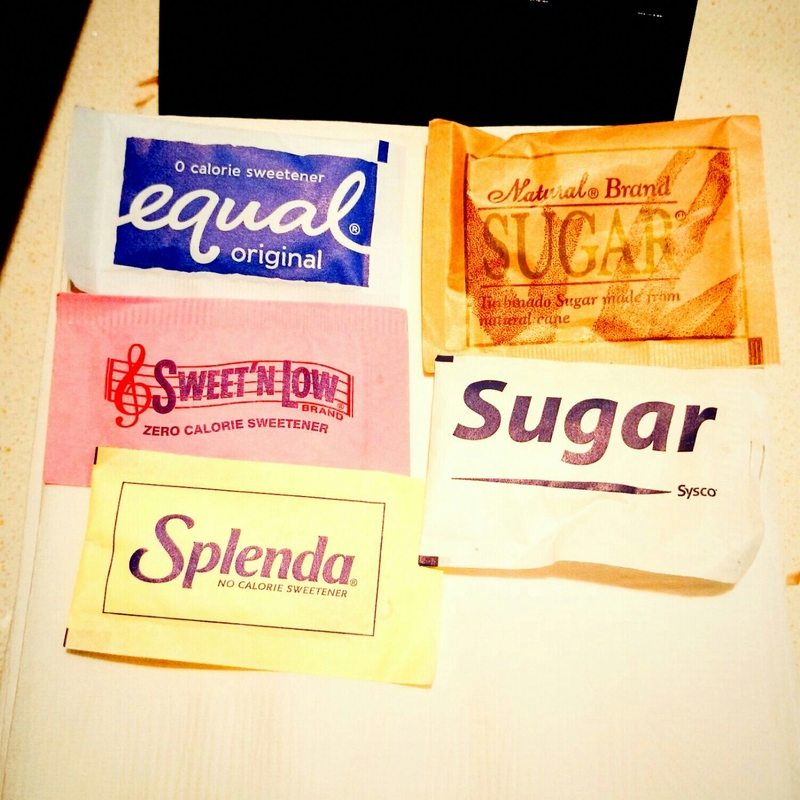 For unknown reasons there are at least five types of sugar. I will never understand why because if I want zero Sugar I just drink the coffee without Sugar. But hey, that’s Amerika and that would be to simple. 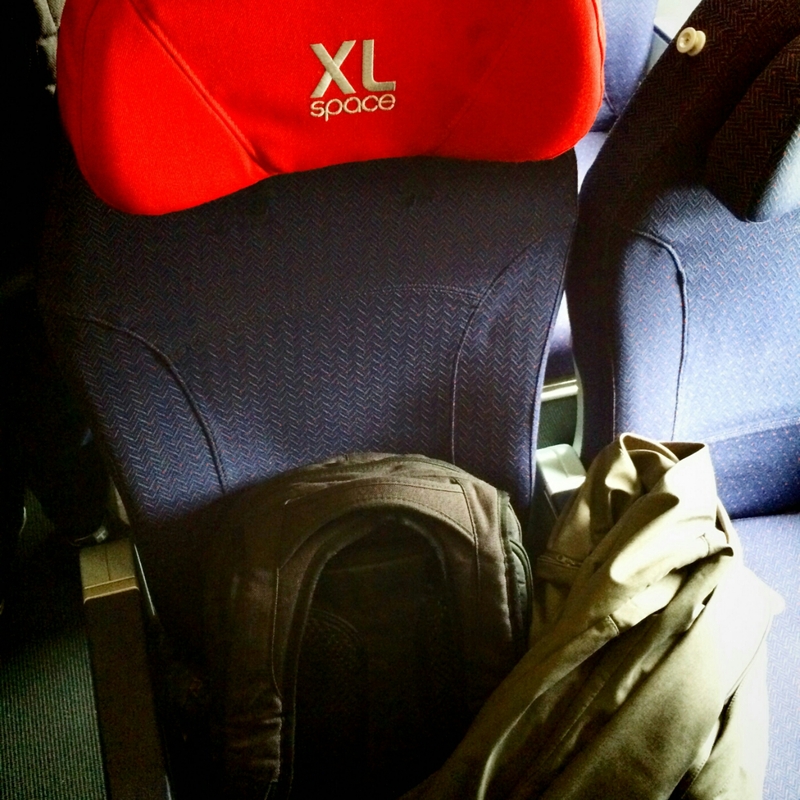 Never ever do this again without buying an XL seat. For people with my size this is an must-have. Such a nice week. I really enjoyed it.